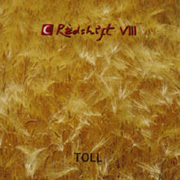 Redshift has developed the sensible habit of releasing new CDs at their concerts of every two years or so. 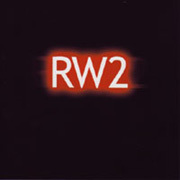 The CD Toll (64'23") was recorded live at the E-live festival in October 2004 while RW2 (68'56") is a compilation of various previously unreleased live recordings and practice sessions. Made up of Mark Shreeve, his brother Julian and Mark Goddard, Redshift is the dominating powerhouse which drives the UK spacemusic scene. With performances at a master level, Redshift concerts are capable of energizing fans, inspiring musicians and bring the aspirations of this genre to new heights at each outing. Shreeve is truly a virtuoso when it comes to sequencer operation and manipulation. What with the complex interaction of intertwining rows of notes, superb introduction of new parts over established patterns and dramatic variations in tone color and amplitude, what he comes up with should be studied by music scholars for generations to come. By Shreeve's hand his modular Moog warhorse cranks out steady runs of bass heavy notes with machine-like precision. But this power, presence and energy reaches elegant heights when running under melodies made with the soft timbres of Mellotron flute and full-throated synthesizer leads. Within these moments the focus of the piece shifts from that of a wildly spinning engine to a more harnessed propulsion. As strident as these zones are, they are no match for the primordial synth soup that engulfs and disables their forward motion. These quiet safe zones are filled with sparkling electronic glitter, heroic string pads and swirling cosmic wind, and provide somewhat of a negative space in which to wind down from one energy level, regroup and move on to the next. In their work Redshift strives to conjure up music that can be inhabited by the listener, and brings something of the edge of the universe to our home here on earth.